Open 1400-2200 Mon-Thu, 1200-2200 Fri-Sun. 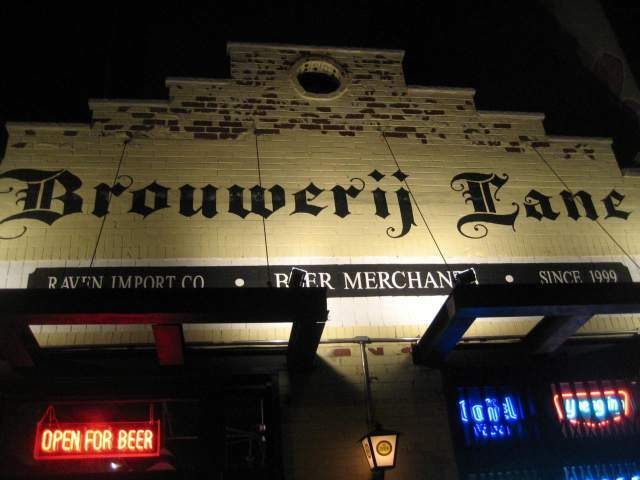 An excellent hybrid beer store with on premise drinking, a central meeting place for craft beer people. Directions - G train to Greenpoint Avenue take the southern (Greenpoint Avenue) exit, walk just over one longish block west. Note you will pass Búðin, Black Rabbit, and The Pencil Factory (q.v.). FROM THE EAST RIVER FERRY at Greenpoint Landing, walk east, take the first right on West Street, turn left on Greenpoint Avenue. Beer store and tasting room with 150 bottles and 19 draft taps for growlers and pints etc. Very atmospheric, interesting building with wooden tables and small beer garden. Our only slight disappointment when we returned in April 2017 was that we found there were - for us - too many Greenpoint Beer and Ale beers on the list, and as we were headed there next we didn't want to prioritise them. I know it's under the same ownership, but I felt the selection was better on previous visits. Links with Habitat and Diamond for a crawl and well worth a visit. NB: Paulie Gee's pizzeria is 50 yards down the block, towards the water.